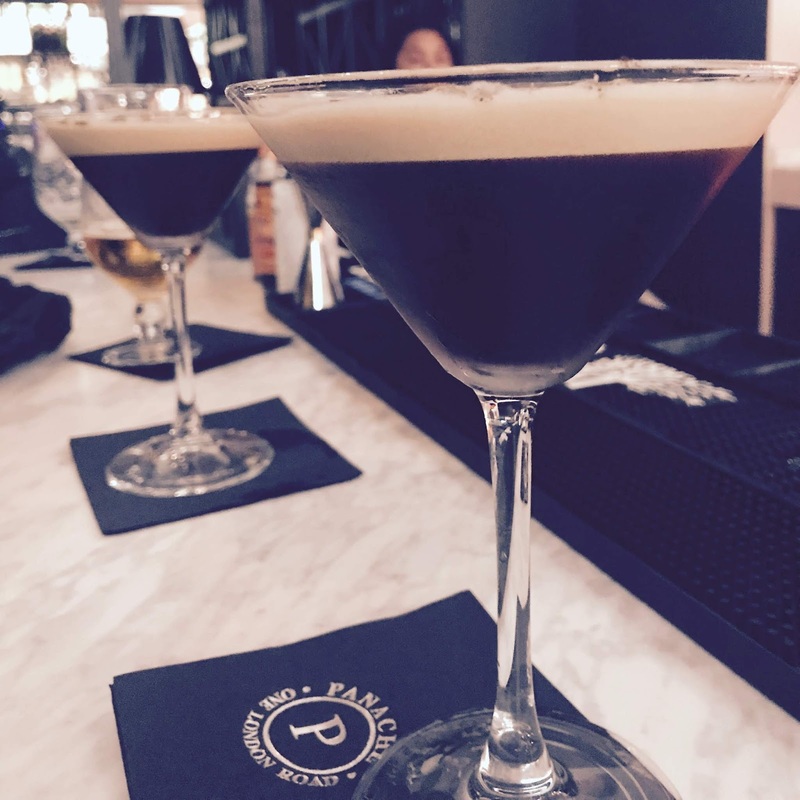 Last week I was kindly invited to a preview at the new Poynton restaurant and bar, Panache. With the success of hipster wine/beer bar, Vinehop in the centre, the whole area has been asking for a bar like this to rival that of Alderley Edge and Wilmslow. The popular Frankies Bar in Disley and the smaller wine bars in the surrounding area have not quite been enough to keep the local residents (including me) from having a night out further afield instead. 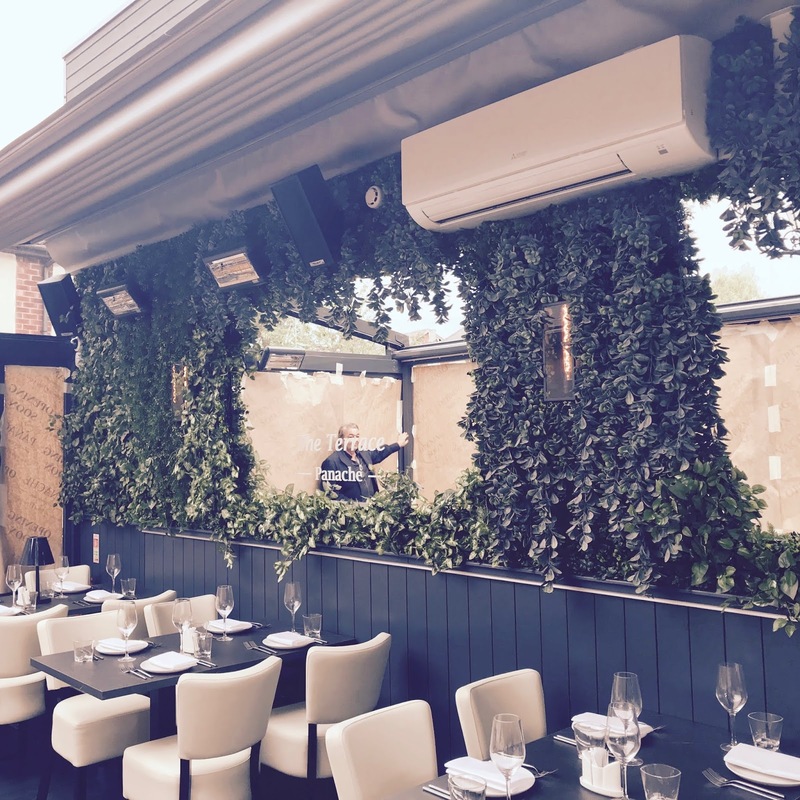 Panache One London Road has all the vibes of a Alderley Edge bar and restaurant but, I’m not going to lie, may be even better. So on Friday evening after finishing for the bank holiday (yay) my friend Emma and I made our way to the centre of Poynton. The concept of going to a cool bar a mere 10 minutes from my mum’s house is a foreign concept but one I was excited to relish in (think of how cheap the taxi home would be!!). The main entrance comes straight off the main road, something that isn’t an issue due to the pedestrianised village centre and looks across to Vinehop and Thai restaurant Tom Yam. We were greeted by the lovely Louisa who told us to grab ANY DRINK (I know right) from the bar and to make ourselves comfortable. We each ordered a Moretti, one of the two lagers on draft (they want to make a point that they specialise in wine and cocktails so not to compete with the lager serving premises across the road. I'm not sure this is needed as this just limits what beer drinkers can have which is kind of annoying) and went for a wander. 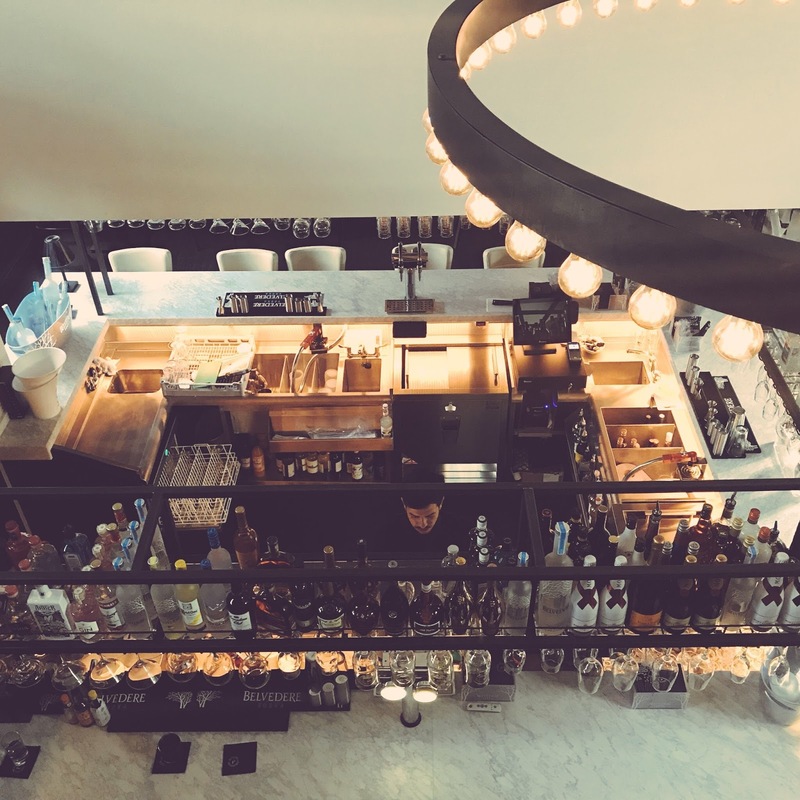 The premises is completely open plan but with 3 distinct areas, the bar area seating 100 people and with a mezzanine level, the main restaurant and an outdoor terrace. The original building has been extended on either side each with a retractable roof that I’m sure will be absolutely gorgeous when the warm weather returns next year! So what are my #fridayfavourites at Panache? 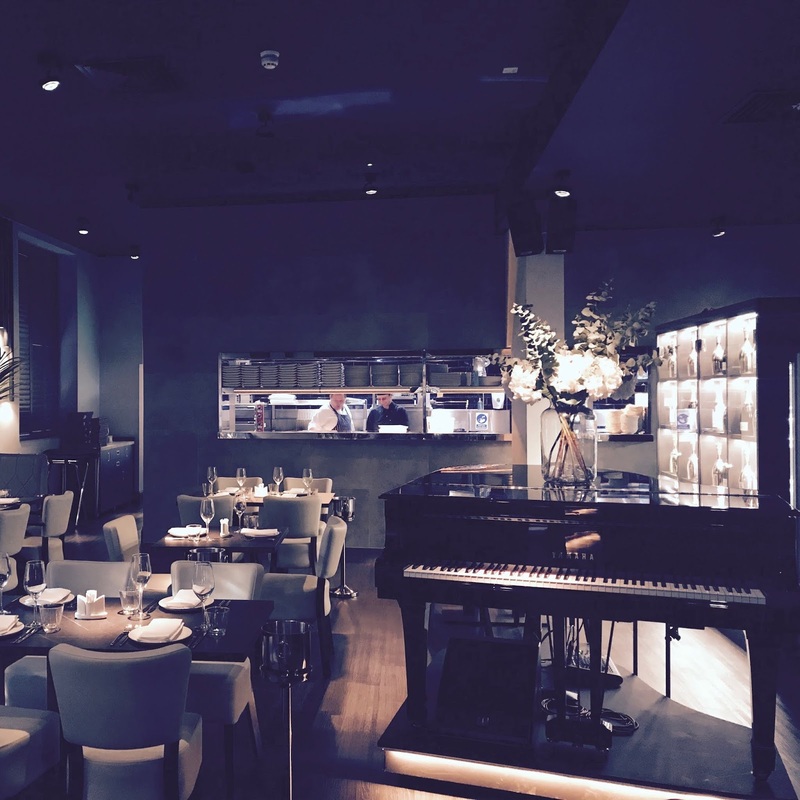 SELF PLAYING PIANO - A you can see from the picture, Panache has a gorgeous dining area, no expense has been spared when creating this super instagramable restaurant. Lunch is served here from 12 till 5pm featuring small plates and tapas style sharing platters that come served in a afternoon tea style-y (I recommend the Panache Halloumi Fries!!). There is then also a A La Carte menu served from midday to 10pm (I’ve been told the BBQ ribs are a winner). But forget about the food, the reason you should visit is purely for the self playing piano that is the centrepiece of this restaurant! Hooked up to an iPad it can play thousands of songs and links up to the sound system for the whole building! GIN GIN GIN - So I love gin, it’s definitely the drink of 2018 for sure. I didn’t try any whilst I was visiting but it’s a must when I return now it’s opened fully. 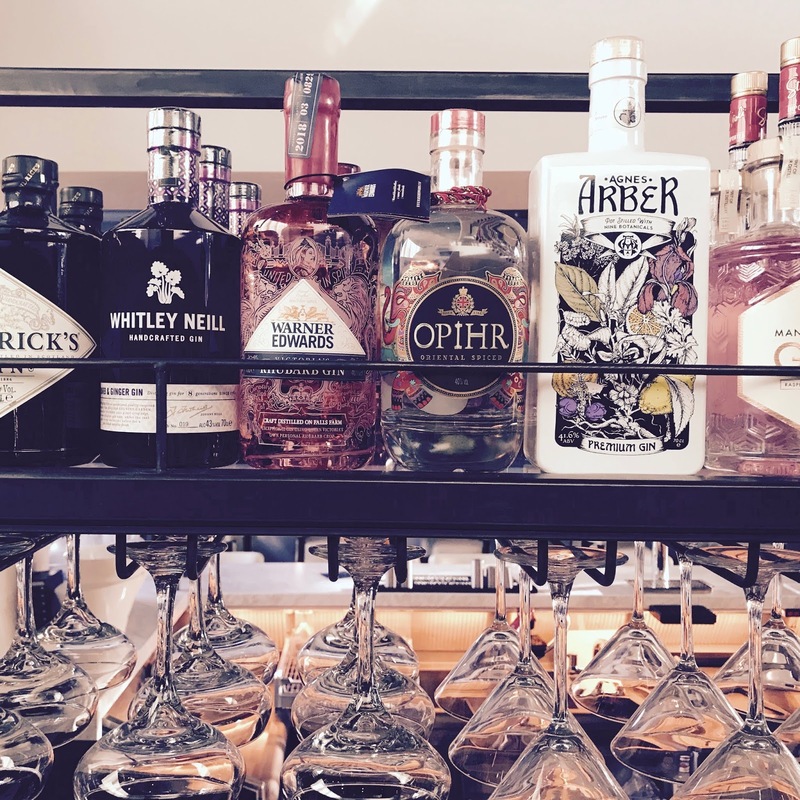 This picture is a mere snapshot of the gins on offer above the bar. If it’s wine and cocktails you like, then Panache is a must visit! ESPRESSO MARTINIS - My favourite cocktail of them all is an Espresso Martini. I have on occasion joked I may start a blog where I just visit every bar in Manchester and review their Espresso Martinis (still may happen). I was talking to Emma about this over our third slice each of the delectable pizza on offer when Valentino, aka the best bartender ever, said he was prepared to take on the challenge of Best Espresso Martini in Manchester. I can confirm it was hella strong and hella good, I mean look at that foam to martini ratio!! THE TERRACE - So I only saw this briefly but I am dying to go back and have afternoon tea here. This is the beautiful terrace. With windows on all sides, a mirrored wall, indoor foliage and retractable roof, this is definitely going to be the most requested area of the restaurant. Beautiful in the summer and warm and cosy in the winter. Have you been to Panache yet?